When it’s time to relocate to a new home, choosing a mover and trusting them with your most precious belongings is as simple as talking to Pikes Peak Moving & Storage Co. You can relax, we’ll take care of the details. We understand that it’s more than just packing and moving boxes – it’s about moving your life. We listen, we understand and we recognize your unique need – providing peace of mind every step of the way. Pikes Peak Moving has proudly served Colorado Springs since 1970. And in 1970, Pikes Peak Moving partnered with Wheaton World Wide Moving. 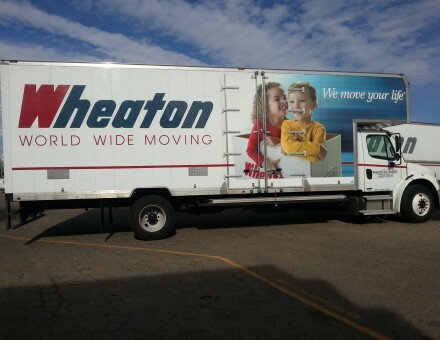 This outstanding partnership combines Pikes Peak Moving’s dedication to complete customer satisfaction and Wheaton’s commitment to professionalism and excellent service. Together, we provide superior service and safe transportation of your precious belongings. Storage – Pikes Peak Moving provides the convenience of storing your belongs until you and your family needs them. We have a 23,000 sq. ft. storage facility that is fully secured, clean and well maintained.